I'm retired, very much enjoy traveling, had a 1987 Westy 10 years ago, now have a westy like GTRV. General computer and network skill. 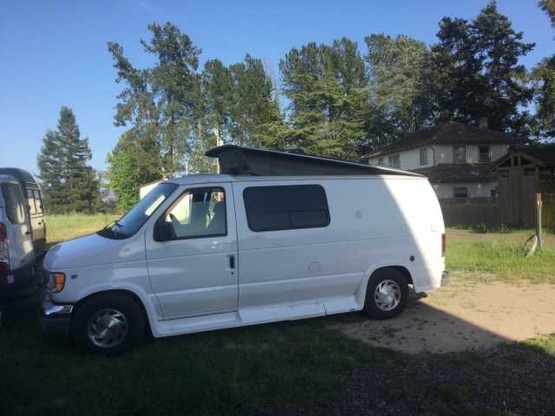 It's GTRV conversion of 1999 Ford E150, almost same size as Westfalia. From outside, you don't notice difference from other Ford van other than awning. Inside it has camping gears, it has a porta potty too.